Marek Niechciał is a graduate of the University of Warsaw, where he studied economics. From 2007 to 2008 he was president of UOKiK; in 2008 he became an adviser at the National Bank of Poland’s Economic Institute. From 2007 to 2012 he was a member and deputy chairman of the Statistical Council, an advisory body to the prime minister. He has been deputy director for economic affairs at the Department of the Committee of the Council of Ministers, and has worked with, among others, the Insurance and Retirement Fund Commission Office and the Institute of Economics at the Polish Academy of Sciences (PAN). He has also worked as a journalist specialising in economic affairs. 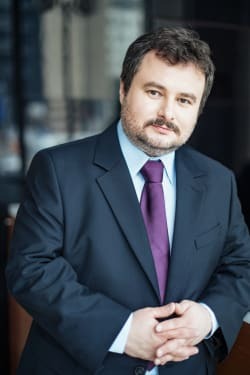 Marek Niechciał has experience in education, having been a lecturer at, among others, the L Koźmiński University Business School, the University of Finance and Management, and the Warsaw School of Information Technology under the auspices of PAN. He has co-authored reports on innovations of the Polish economy, published by PAN’s Institute of Economics, and an NBP publication, currently under preparation also on innovations of the Polish economy. His personal interests include a passion for aviation. He is involved in, among other things, organising meetings of the Polish Aviation Technology Association. Prime Minister Beata Szydło appointed Marek Niechciał president of UOKiK on 12 May 2016.